How Do I Witness to People Conditioned for Soundbites? 1. For all the talk about using the mind in the Christian faith it at least in my opinion seems to be a hallow protest because our culture is absolutely mindless, both the secular side and the Christian side (generally outside of academia and some exceptions). I suppose what I’m saying is that I have found my desire to be a well thinking Christian a handicap for witnessing and contending for my faith in the normal everyday practical world, where people my age speak in slang, are induced my degenerate immoral images, and have grown up being bombarded with billions of bits of emotional, and psychological information throughout their lives, normal people barely want to hear a well thought out statement anymore about anything because they are conditioned for soundbites and have been culturally reborn impatient, how am I to practically deal with this dilemma when I witness, and still keep my intellectual mind from going insane?? Or how do you deal with people who ask straw man questions?? Questions that are asked and really are framed in such a way that no answer is beneficial to actually knowing the truth but only serves to trap the Christian thinker in such a way that whatever answer he gives will just dig his own hole??? How am I to practically deal with this dilemma when I witness, and still keep my intellectual mind from going insane?? It can be very frustrating trying to reason with people who aren’t interested in or haven’t been prepared to think well. But reason is the only tool we have (humanly speaking) to combat this problem. We can’t turn to, say, force to bring people around. That will only enforce the “will to power” mentality of our age–that might makes right. So what we must do is take people to those issues which they do think about to get them into a mental framework suitable for thinking about spiritual matters. Of course, once the topic of religion comes up they might very well shift to a “this works for me” or “whatever you believe” attitude. At that point, however, we can simply ask if they think religion falls into a special category where thinking is prohibited, and if so, why. If they should say that religion deals with abstract ideas, we can point them to the factual aspects of Christianity. People who aren’t interested in thinking or who are convinced that thinking is unnecessary or prohibited in certain areas cannot be intellectually pressed to think. We have to sneak in the back door, as it were. Get them thinking, and then shift to the things we want them to think about. Or how do you deal with people who ask straw man questions?? If they should ask straw man questions, we can ask them (gently) the relevance of the question. If they seem to be simply out to trap us, we can ask how significant the particular issue is. I see no problem with pointing out that it seems they’re trying to trap us! We can ask if they’re serious about discussing the issue. 2. The second question deals with form critisicm and its related annoyances. If Christianity is actually “true” and not just something that is relatively true as long as people believe in it, during the time when Christ was on earth why did no one actually write immense volumes of material about what He actually did while He was doing it??? He was GOD for goodness sake?!? I mean according to the gospels he healed tons of people and did things people never saw before, but we don’t really have any actual at hand testimony of this stuff??? Yes we have outside historical references, but honestly they are seriously lacking in content, and the gospels conservatively estimated about 50 years after his ascension? I have honestly thought about this, and it just makes me wonder??? Yes I have evaluated the lives of the apostles and alot of the other evidences for Christianity but sometimes it just seems as though God decided to make it either/or. It could be a lie and a bunch of stories formed down through time or it could be true: why didn’t God make the evidence clear and bulletproof? I have never understood this. It just seems the whole thing seems dependent on man’s thinking and not on God’s clear revelation. (Did he make it really clear if no one really wrote about until at least 50 years later?) Like biblical scholars will sugar up the outside historical references and stuff. Perhaps my thinking is flawed here, any answer you have to remove this diffuculty will certainly help?? 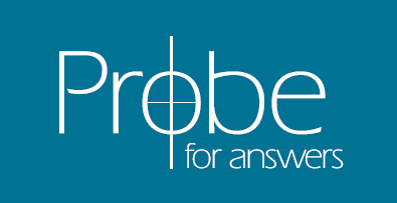 A good recent work of apologetics for these questions is Lee Strobel’s The Case for Christ. I encourage you to get a copy and read the fuller answers to your questions. I’ll also refer below to John Bloom’s article “Why Isn’t the Evidence Clearer?“. You said there is no “at hand testimony.” What about that of Matthew, John, James and Peter? Surely these apostles and New Testament writers had direct experience with Christ. Paul was taught by the risen Lord. Luke did his research carefully, talking to those who walked with Christ. Regarding the dates of the New Testament writings: The book of Acts must have been written before A.D. 62, since it contains no mention of Paul’s death. Thus, Luke must have been written before that, and Mark before Luke (since Luke drew from Mark). This puts two of the Gospels within 30 years of Jesus. Why weren’t there mountains of writings about Jesus from his time? Perhaps because journalism as we know it wasn’t practiced then. It seems apparent that people did write down things Jesus said and did. But we wouldn’t expect the kind of written coverage historical events get today. There are two reasonable demands for any set of evidence. First, the evidence should be clear enough to be intellectually sound at the same level of certainty one uses in making other important decisions. Second, the evidence must be clear enough to select one set of claims over another (that is, clear enough to select Christianity over other religions). Often the data are inconclusive or ambiguous preventing a rigorous conclusion. However, abandoning the research and pronouncing that no one can ever discover the answer is poor methodology. The fact is that the natural order rarely produces ideal data, and nature appears to be more far more complex the more we know about it. Do we give up on learning about nature because the facts aren’t always so clear? Likewise, we wouldn’t expect to find the rich truths of our faith to be so easily searched out and set forth. Bloom also considers the possibility that God might have good reasons for not making it all clearer. But even if He reveals evidence of Himself only to benefit us, why isn’t He more forthright about it? This much seems clear: If He made His presence or the evidence too obvious, it would interfere with His demonstration, which is intended to draw out or reveal the true inner character of mankind. We know from several passages of Scripture that this is part of God’s purpose for maintaining a relative silence. For example, in Psalm 50:21-22 we read, “These things you have done, and I kept silence; you thought that I was just like you; I will reprove you, and state the case in order before your eyes.” From these statements we come to see that God is not struggling desperately to gain man’s attention. Actually He is restraining Himself in order to demonstrate to human beings something about our inner character, or tendency to evil. Given this tendency on the part of man, how clear does the evidence have to be before people would universally recognize the existence of the God of the Bible? Would a cross in the sky actually be sufficient to convert Carl Sagan? Would the performance of an undeniable miracle in a scoffer’s presence be enough? However impressive such feats would be, the records of history show that most people choose to ignore whatever evidence they have, no matter how clear it may be. Some, for example, will insist upon starting with naturalistic presuppositions and conclude that Christianity can’t be true! Atheists are adept at using this kind of reasoning. They will say, like Bertrand Russell, “Not enough evidence!” What they want is evidence which fits within the narrow confines of their naturalism. Such reductionism doesn’t provide for good reasoning. God has given plenty of evidence for His existence and for the truth of the faith. It is up to the individual to consider the evidence and respond to it. "I Have Questions about the Christian Canon""Help! My Boyfriend's Not a Virgin and It's Killing Me!"